With our November midweek break offer, you can enjoy a spontaneous and invigorating break to North Devon for less. So if you fancy a relaxing break to this stunning part of the UK, now's the ideal time to book with us. Perhaps you want to get away with a loved one or relax with friends or family before the Christmas rush - whatever your reasoning for taking a last minute break, we've got low prices ready to go. Terms and Conditions - Prices per person, per night. Minimum of 2-night stay. New bookings only. Single supplement applies. RHS Gardens Rosemoor, in Torrington, North Devon is a magical place of quaint gardens, natural landscapes and special features; a real paradise of plants, trees and nature. They also hold regular events throughout the year. One of which is the "Glow Illuminations" - from the 15th of November. 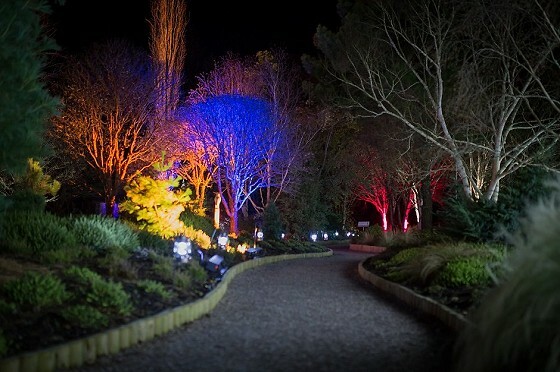 In the evenings they make the garden glow with colourful lights, turning it into a whole new visual experience. If you're looking for a relaxing day out, then Rosemoor is for you. Meanwhile, Clovelly village is another local garden that we recommend you visit. 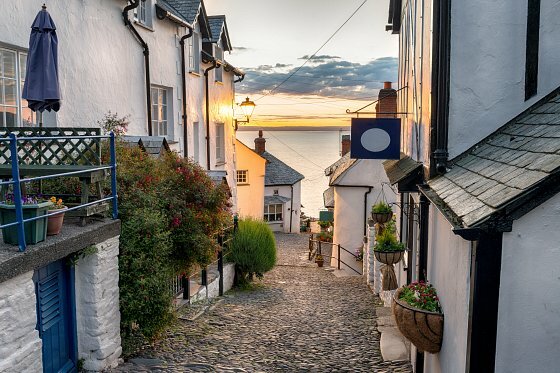 The historic fishing village and harbour is a privately owned area made up of cobbled streets that seem to tumble down into the sea below. There are no cars, donkeys call Clovelly their home and it is 400 years old from the Elizabethan times - a very special and unique place. Spend the day wandering the streets, seeing the little museums and historical buildings, and sit by the waters edge taking in the views. An old train track route that's unique to the area, The Tarka Trail is a network of 180 miles of walks around North Devon. From our position in Bideford, the Tarka Trail is found right behind the hotel. 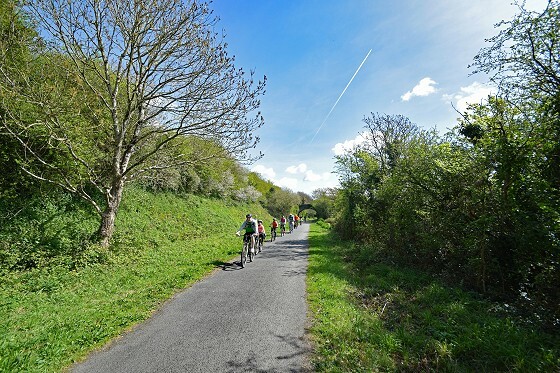 Meaning that a relaxed stroll or cycle along the flat, paved route is always a must to take in the views, bird watch and to fill your lungs with fresh air. There are of course many more ways to fill your time in North Devon. If you've not been to the area before, follow the links below to learn all there is to do - from days out in historical villages to exciting zoos.